For those folks who are new to agricultural politics, the Farm Bill is a piece of legislation that Congress passes every 5 (or so) years. This single piece of legislation defines the policies surrounding agriculture for our entire nation. It is an “omnibus” bill, meaning it includes legislation on a wide variety of topics… in the case of the Farm Bill, anything from farm subsidies to marketing to nutritional programming. 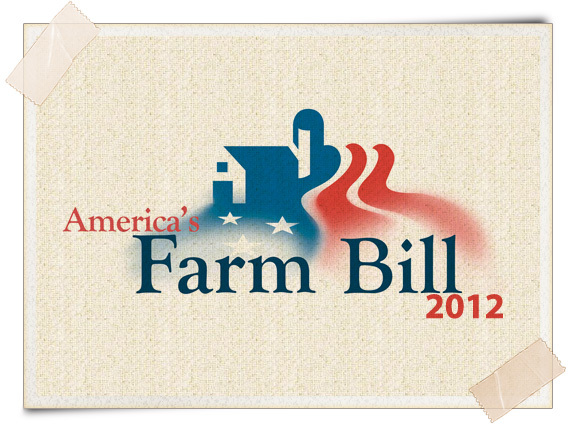 The current Farm Bill was passed by Congress in 2008, and will expire on September 30, 2012. That’s less than a year away! Needless to say, the debate regarding the reauthorization of the Farm Bill has been brewing for a while, and many factors (such as the upcoming Presidential elections) are influencing the political process this year.